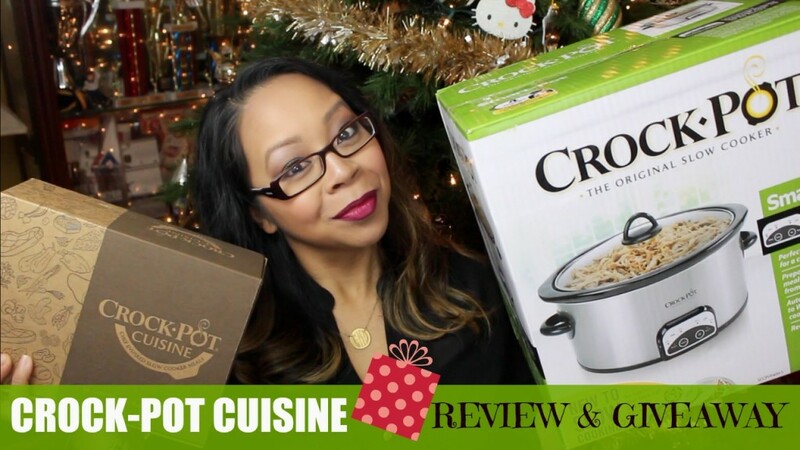 CROCK-POT CUISINE: REVIEW & GIVEAWAY! You are here: Home › cooking › CROCK-POT CUISINE: REVIEW & GIVEAWAY! Super excited to share my first experience using a Crock-Pot Slow Cooker along with one of their newest products Crock-Pot Cuisine. For all you busy moms who already love using this amazing slow cooker, Crock-Pot Cuisine is here to make your dinners even more convenient. I’ve already tried 2 of the 10 meals on the website so far and my family and I love how flavorful and juicy everything is. Watch this video to see just how easy it was to make a Crock-Pot cuisine meal in the slow cooker! Also don’t forget to enter the giveaway to win your very own Crock-Pot! Use my coupon code MTBCCPC25 to receive 25% off Crock-Pot cuisine. 2 Responses to "CROCK-POT CUISINE: REVIEW & GIVEAWAY!" Im totally gonna be ordering some of these. How did the girls like them. With a 5 and 6 year old they are always hungry so its nice to throw something in the morning and have it be ready. Thanks for the tip on Dove Cameron. I did google it but nope not around here.